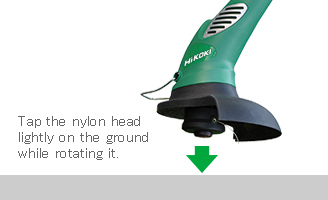 The nylon head automatically feeds more nylon line when it is tapped. 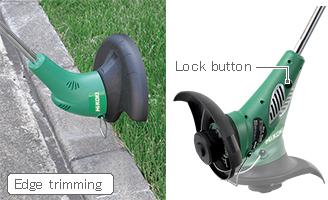 The trimmer head can be rotated 180 degrees by pressing the lock button, and used as an edger with ease. 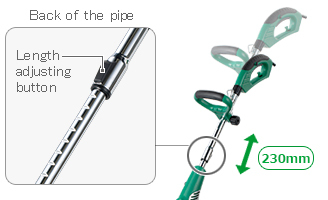 The center pipe length can be adjusted in 12 steps. 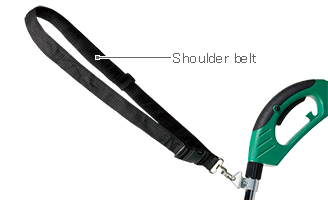 An adjustable shoulder belt is included as standard for less arm fatigue. Unless the lock-off button is pressed, the switch cannot be engaged for safety. 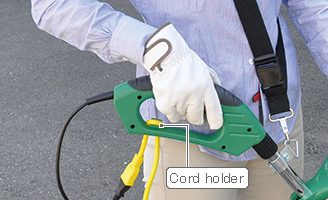 Holding an extension cord with the cord holder prevents the extension cord from unexpectedly disconnecting. Cutting grass by moving the trimmer from right to left will direct grass clippings away from you and prevent them from dirtying your clothes. It is preferable to cut as widely as 1m. 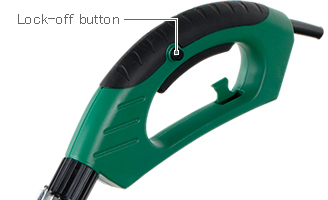 Use the end of the nylon line to cut grass. Cutting as much as possible with the whole line will lower the motor speed and efficiency. Continued use under such conditions with high load may lead to motor damage. 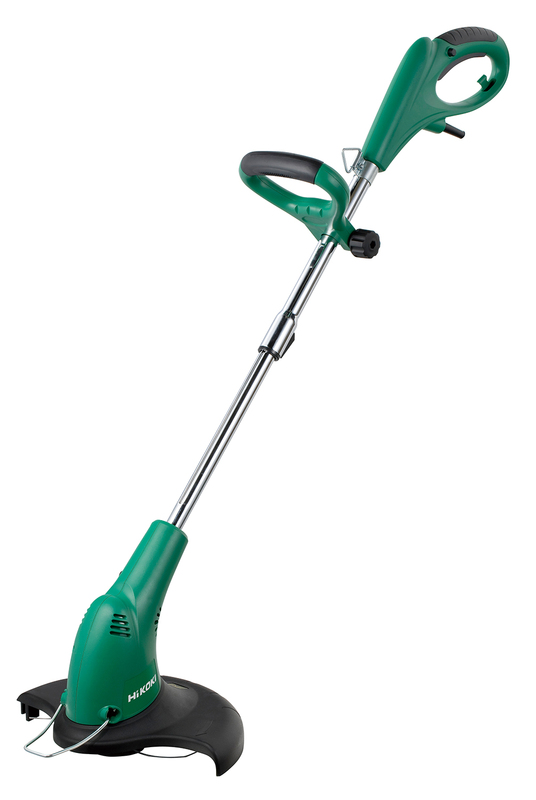 In those conditions, cut less grass at a time after lifting the nylon line off the grass and pulling the switch trigger to increase the motor speed.